I have a couple of shoutouts to kick off this week. Nick Hanson, champion of the scissor broad jump in the World Eskimo-Indian Olympics, is going to the finals on "American Ninja Warrior." Basically "American Ninja Warrior" is a show in which the extremely fit contestants run, jump and swing over padded obstacles. Way to represent Alaska, Hanson. 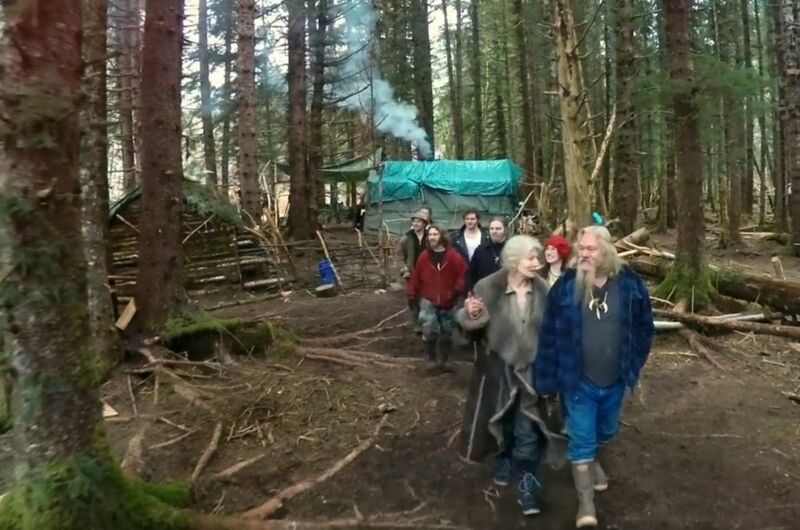 Thanks to the folks at Radar Online for interviewing a couple from Hoonah who saythe Browns stay in the Icy Strait Lodge while filming "Alaskan Bush People." This rumor has been swirling for a long time in the darkest corners of the internet, but now it's been published. It would make sense though, because Browntown doesn't seem like a very appealing place to live. Now on to figuring out who actually built that house. This week's episode was all about reminiscing about the good old days with the Bush people of Excursion Inlet. The winter caretaker of Excursion Inlet's fish processing plant and his wife should definitely get their own spinoff show, because they are characters worthy of spectators. But the highlight of the episode was when Snowbird decided to pour cooking oil over their cat when it was stuck in their boat. There is a preview of "Homestead Rescue" on the tube now. It features many distraught families, followed by the Raney family swooping in to save the day. The real gem is Marty Raney showing his busted hands as his "resume." Back, by popular demand, I will now answer some reader emails. "The way of the bush. Billy Brown slays me. This guys (sic) a mess. Do you ever notice when the work starts he or Ami come down ill?" Hot Mess, I have noticed that it's uncommon to see the Brown parents help, but I just figured that is why they had so many offspring. Or maybe they are just playing to their strengths of always talking to the camera. "I'm visiting Juenueo [sic] Alaska and I saw the bush people I'm here for a few more days and would like to meet them I spoke with them for a few minutes and they told me they just got into town and what not I'm curious like every other person in the world why they are living at a hotel right now I'd love to see browntown or even hangout for a day I leave Friday but I have a pic of them in their car and know where they are staying thanks." Hates Punctuation, I think since you know where they are staying in Juneau, it might be more effective to reach out to them directly. Especially since I don't actually know the Browns. I just have the sometimes unpleasant job of reviewing reality television. "My family and I watch 'The Big Fix' and all shows about Alaska, but not anymore, because of the many GD expletives. It's almost like subtle satanic messaging." Subtle Satanic Messaging, shows about Alaska are generally some of the tamer shows on television. Definitely don't turn on MTV or Bravo. "(Crying emoji) (angry emoji) Bear." Emoji Lover, (confused side-half-frown emoji) (brown bear emoji) Huh? Finally, I have received a pitch for a show about a tree-removal service whose tagline is "we go out on a limb for you!" and a show about guides on the Chilkoot Trail. The person pitching the Chilkoot show hopes "to have the guide service get about 50 grand and the Park Service allow a one-time crew access to the trail. The story is all about friendship, loyalty, selling out and who one goes home with at the end of the day." While I don't have $50,000 to make a TV show, I would be a loyal viewer.